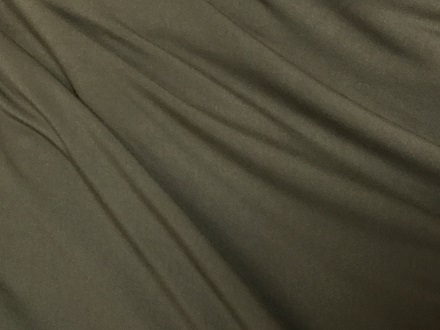 60″ wide 95% Rayon Rich Olive Green Rayon Bamboo 5%Lycra gorgeous fluid drape, appealing touch, matte surface. The light-mid weight is perfect year around. Some rolling at the cut edge. Perfect for a T-Shirts, tunic, tank, twin set, skirt, dress, even leggings.